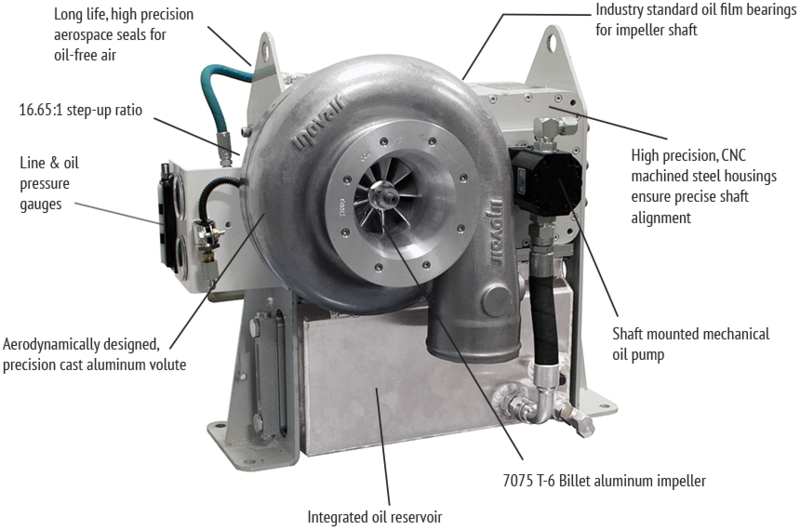 Inovair’s 2200 blower is an integrally-geared centrifugal blower traditionally used in applications where efficiency and reliability are paramount, such as gas turbines (aircraft and stationary), pipeline and oil eld compressors, air-conditioning and refrigeration. 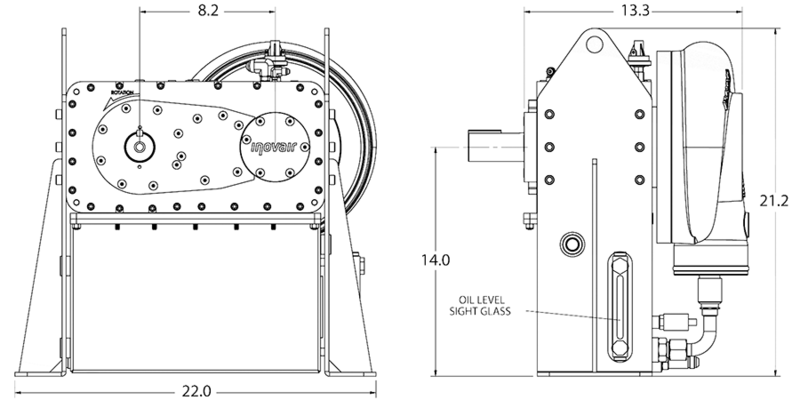 A two-stage gearbox is integrated into the blower unit providing the necessary impeller speed. 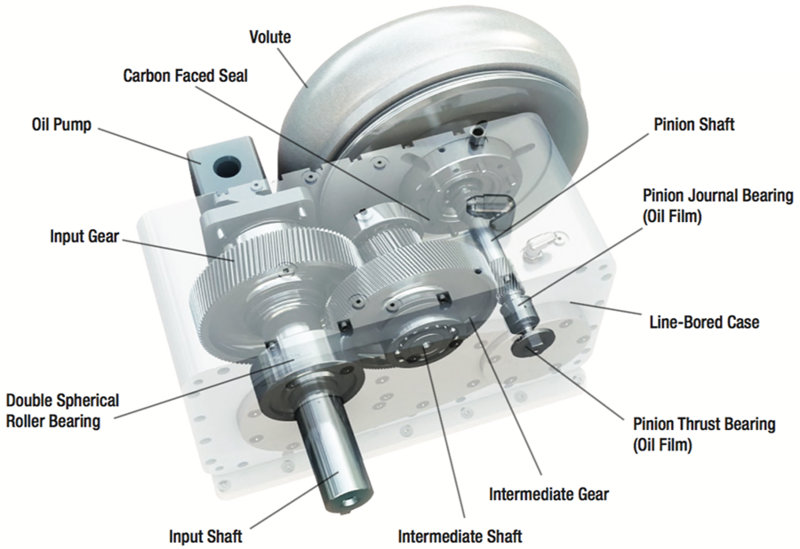 Centrifugal technology is inherently more efficient and longer lasting than positive displacement designs. For applications where efficiency and durability are most important, such as aerospace, municipal wastewater, petroleum exploration, and natural gas compression, centrifugal/turbo compressors are the industry standard. The efficiency islands on the chart below represent actual Inovair turbo blower performance.